Did you know corrosion is the third largest cost for Americans, only to be preceded by real estate and healthcare? Why should this even be? Many applications could utilize corrosion resistant materials, saving the economy money and, more importantly, lives. In 1998, NACE International did a study on the direct cost of corrosion for the United States. The direct cost alone added up to $276 billon. At the time, this was 3.1% of the GDP (Corrosion Costs and Preventative Stategies in the United States, 2002). The indirect costs of corrosion is estimated to be equal to or greater than the direct cost, thus making the real cost over $552 billion. 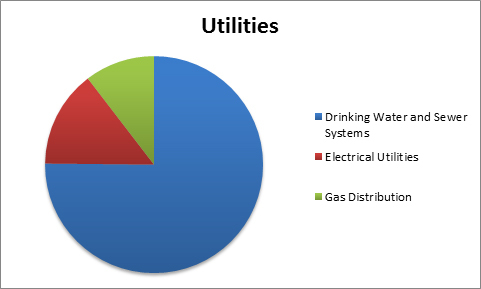 The indirect costs include the costs incurred by anyone outside of the owners and workers as a result to corrosion. The US GDP for 2014 was about $17.4 trillion (Gross Domestic Product of the United States of America from 1990 to 2014, 2015). Assuming the direct cost of corrosion is still around 3.1% of the GDP, the direct cost of corrosion in the United States is around $539.4 billion. When you included indirect costs, the cost increases to around $1.1 trillion. Yes, I said trillion! The worst part about these numbers is many of these costly corrosion applications could have been designed with corrosion resistant products, saving the economy literally hundreds of billions of dollars! 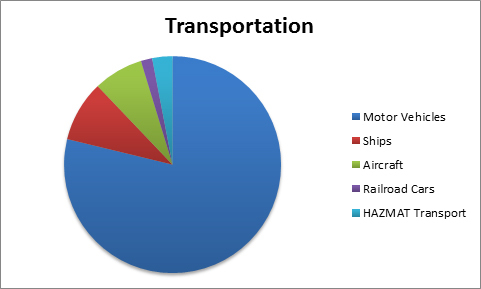 Above you can see the top five industries most affected by corrosion and the direct cost for each. The 2014 numbers have been adjusted to align with the 2014 GDP. 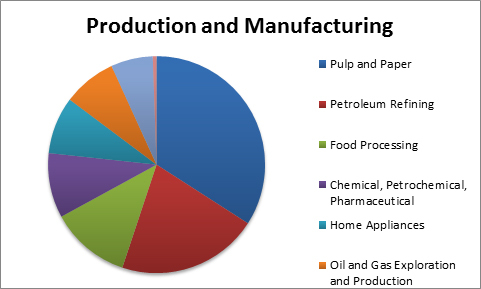 As you can see, a wide range of industries are affected by corrosion. 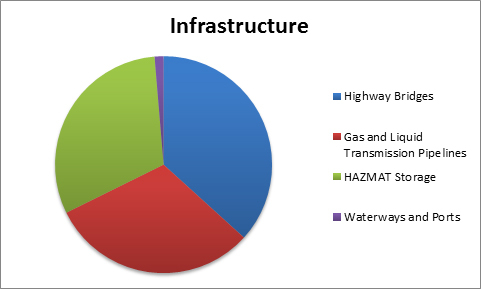 Below you can see where the utilities, transportation, production and manufacturing, and infrastructure industries spend money on corrosion. So, what is corrosion, and how can we cut these costs? Corrosion is a “naturally occurring phenomenon commonly defined as the deterioration of a substance (usually a metal) or its properties because of a reaction with its environment” (Corrosion Costs and Preventative Stategies in the United States, 2002). While corrosion is a natural process, it is controllable! There are various time-proven methods to help prevent or delay corrosion. One way to delay corrosion is to paint a protective coating onto the metal material. This is much more corrosion resistant than bare metal; however, it is not a permanent solution. The coatings eventually chip and have to be periodically removed and reapplied to ensure water and other elements do not reach the metal. This process can be time consuming and costly. A more permanent solution would be to go with a plastic option. While the word plastic is often associated with being weak or cheap, there are special types of plastic composites that are anything but weak.  Fiberglass Reinforced Plastic (FRP) is an extremely strong material that is often used in applications that have traditionally used metal. 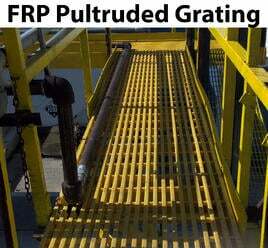 There is a wide rage of FRP products available including structural shapes, railings, ladders, and a variety molded and pultruded grating options. 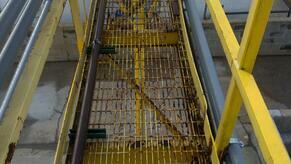 FRP is corrosion resistant, so it has an extremely long service life. Additionally, while corrosion makes metal far more insuffiecient, FRP is able to maintain its structural integrity and load carrying capabilities. This allows companies to save thousands, and indirectly saves the customer money. In addition to corrosion resistance, FRP products are very low maintenance. There is no need to paint the product in order to avoid corrosion. You will save considerable time and money not having to paint and repaint the application as you would have to with corrosive materials like metal. Some other advantages of FRP products include slip resistance, a high strength to weight ratio, fire retardant, electrically and thermally nonconductive, low installation cost, and UV protection. Corrosion of metal and other materials add up to unnecessary sums. In addition, corrosion can lead to the failure of an application, which can result in injuries and sometimes even death. While the corrosion process is natural, it is controllable. Innovative products such as fiberglass reinforced plastics can help save your company money and indirectly save the population as a whole.